http://morgiana.blogger.ba: Mother of the Year? A woman abandoned her 14-year-old daughter for six weeks with just £100 and a fridge full of food while she travelled abroad, a court has heard. The woman, who cannot be identified, was visiting her boyfriend in 2007. 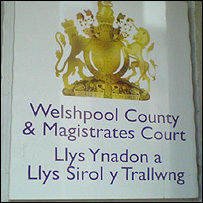 She told Welshpool magistrates she had arranged for a neighbour and her ex-husband to look after her daughter. The woman denies wilfully causing her daughter to be neglected and abandoned. The case was adjourned until 8 February. The court heard the woman had stocked her fridge and freezer with pizza, oven chips and microwave meals before she went abroad between April and June. Of her £100 allowance, £60 was spent almost immediately on school dinners for the period her mother was away. She spent most of the remaining £40 on clothes and CDs, magistrates were told. Social services were alerted to the girl's situation after only two days and arranged for her father, also the woman's ex-husband, to look after her for the remainder of her mother's holiday. He said he was unaware his daughter had been left home alone. Shaun Spencer, prosecuting, said the mother was interviewed by police three days after her return and she "apportioned blame for the situation on everybody else apart from herself". "She accepted no responsibility. She stated that she left the country for six weeks, stating that it was cheaper to do that than go for four weeks. "She confirmed that she didn't want her daughter to stay with her father because she was concerned about his drinking. "It is noteworthy that later during the interview she went back on this and said she had, in her mind, made arrangements for the father to look after her daughter for three of the six weeks. "She went on to state that for the other three weeks her neighbour was to look after her daughter." The teenager's father and neighbour both denied knowledge of such arrangements during their evidence in court. Referring to the teenager's interview with specially trained police officers, Mr Spencer said the girl felt she should not have been left alone by her mother. "She also confessed that she missed her mother," he told the court. Giving evidence her mother said the girl could cook and had moved back in with her after she returned to Britain. When asked why she left only £100 for her daughter, she said: "I said to her 'If you want any more money, you go and see your father because he doesn't pay any maintenance'." Mr Spencer asked her: "Do you accept you opened up your daughter to potential dangers?" She replied: "Yes, I think I did when I look back on it. "I should never have done it - she should have gone to her father's (home)." She added: "I'm not very good with rules and regulations."